Background/Info: Heartlay is the sonic child of French artist Aaron Sadrin. Set up in 2014 he released a few EP’s and now unleashes his debut album featuring 11 songs. 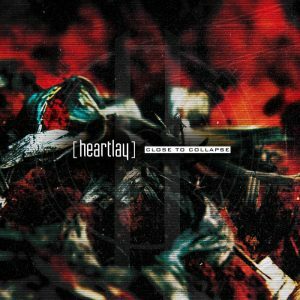 Content: The sound of Heartlay is clearly inspired by metal music and electronics. 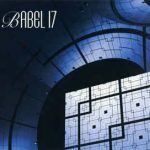 The songs are the perfect offspring between both influences, resulting in a stunning production carried by furious guitar riffs and electronic arrangements polishing the production. The vocals are powerful and totally adapted at the sonic violence of “Close To Collapse”. + + + : With some imagination you might define Heartlay as a real strong sonic cocktail made of ingredients reminding me of M. Manson, Rammstein, Skinny Puppy and with an own touch on top. I like the perfect balance between electronics and guitar, but the especially the guitar playing is the main strength of the work. The songs are violent and often show a great progression leading to a strong final. – – – : I’m just missing this little extra in the choruses to speak about a perfect album. 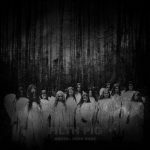 Conclusion: “Close To Collapse” is not reinventing the industrial-metal genre, but is a successful debut revealing a new and promising name. This is a band with a huge potential! Best songs: “Will It Be Enough”, “Thrown”, “Death Screens”, All Alone”.